This is the last week of summer before school starts. How did that happen? Seriously, wasn't May just yesterday? We don't have any major plans this week, as per usual. No last summer hurrahs planned or anything, at least not yet. I think it's been a pretty good summer (and I think Annelise would agree), even though it's mostly been low-key, which is how we roll. A few VBSs, a basketball camp, a couple of trips, lots of swimming, cooling off at Sonic Happy Hour, a few books read (this hurts my heart, I had bigger dreams of her reading loads but she had her own agenda), a few movies, lots of playing outside and lots of well...just living. Last week we did some back to school shopping (but NOT during tax-free weekend, oh the humanity). Annelise is starting a new school this year (which requires a separate post) and will no longer be wearing uniforms, which I will definitely miss, but she's looking forward to wearing *normal* clothes (except for blue jeans, which, I don't quite understand the reasoning, but whatever) (oh, and shirts can't having writing on them other than a small logo) (so shopping hasn't been as easy and as free to be you and me as we'd hoped). 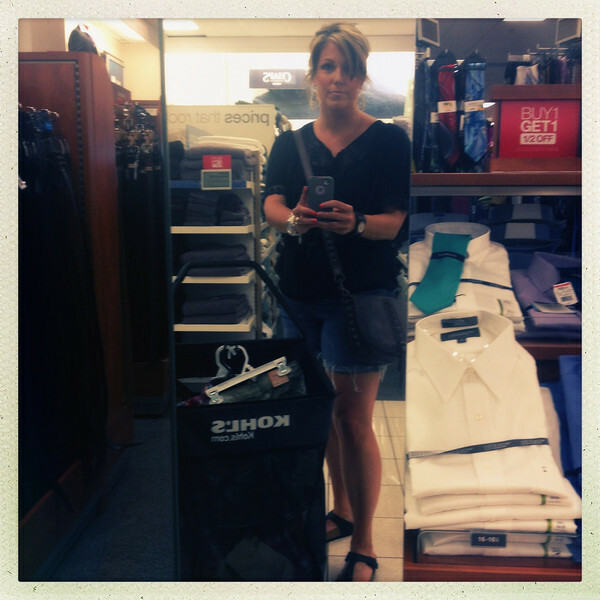 We hit Kohl's, Old Navy and Target. I kept saying (in my head) "You're killing me, Smalls," (name that movie) because she definitely has her own opinion. Although it is a bit easier in some aspects because she can try clothes and shoes on 100% by herself and I don't break out in a sweat like I did when she was four or five. So there's that. But...I think we're done (fingers crossed). Except for a new lunch box. Whee. In other news, I got a few more runs in last week. 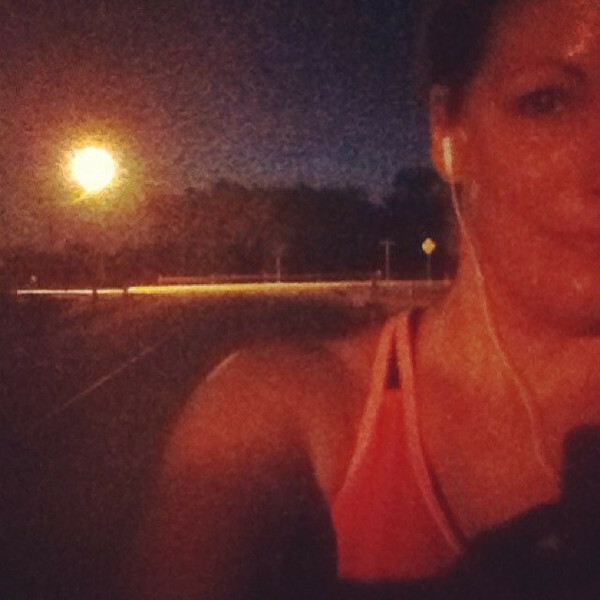 I was able to get in four miles Friday morning before Scott left for work (thank you insomnia) and then another five Saturday evening. 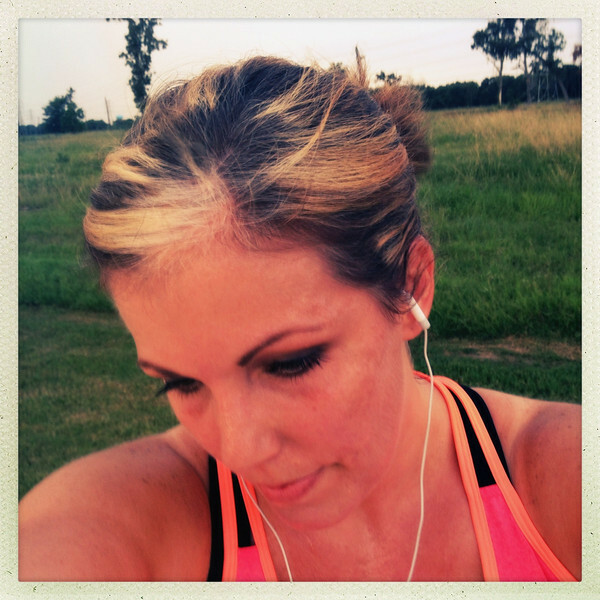 I'm currently at 20 miles for #55milesinaugust. While I'm thrilled to be running regularly again, I realize I need to make time for other workouts (TurboFire for cardio and ChaLEAN Extreme for strength) as well. I tend to get obsessed with one thing and let the others fall by the wayside instead of finding a balance and cross-training. I think I'm scared I'll get off track with running and it'll be months or years (this can happen, y'all) before I find my groove again. 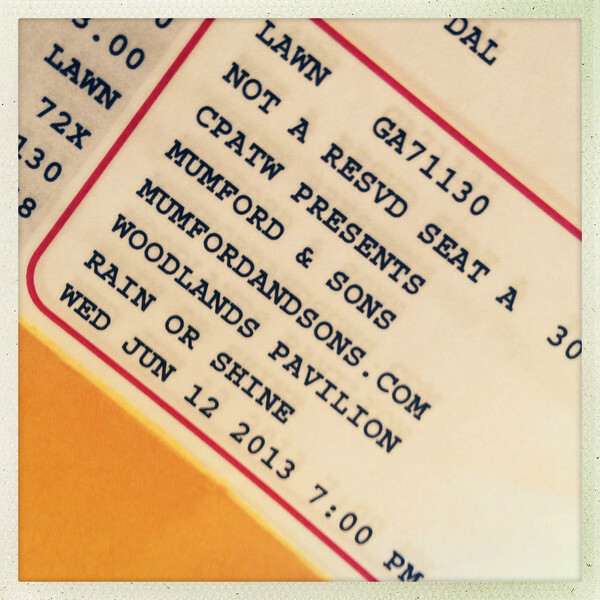 Remember last week when I casually mentioned I'd love to see Mumford and Sons in concert someday? A kind soul commented on my post and after a flurry of emails and a little snail mail, I'll be seeing Mumford and Sons LIVE in a few weeks (Scott's going too, of course). 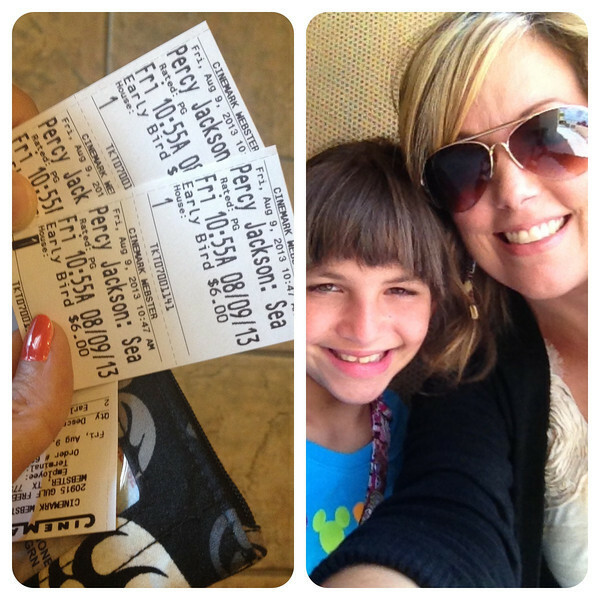 Annelise and I went to see the new Percy Jackson (Sea of Monsters) movie last week. She's read the first two books and has really enjoyed them (I'm trying not to nag but am hopeful that she'll read the whole series) so it was a treat to see the movie. We liked it better than the first one. 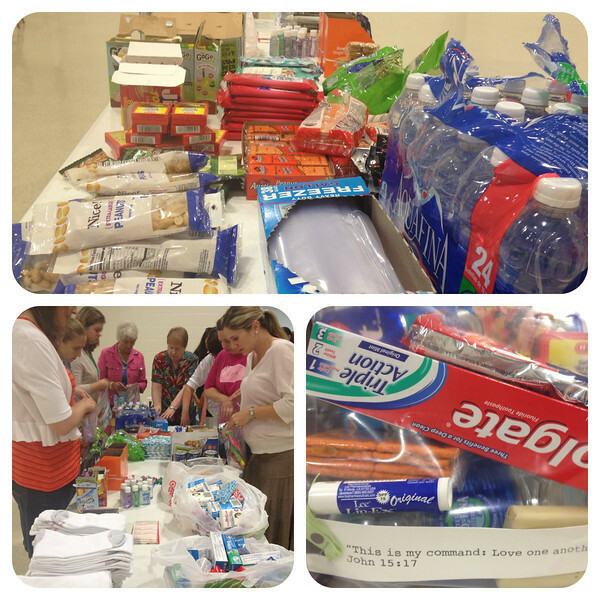 At Mugs and Muffins (a monthly breakfast and devotional for ladies) Saturday morning we assembled blessing bags to give out to those in need. This was definitely a happy assembly line! 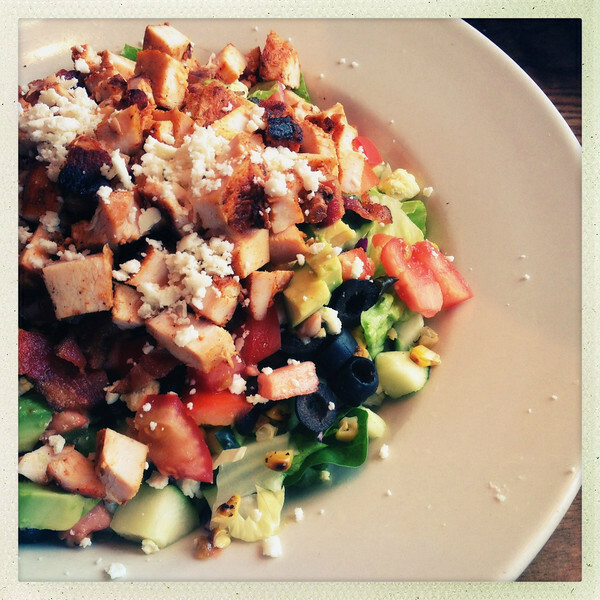 I had the Machete Salad at Jimmy Changa's yesterday after church and it was amazing. Although I was kind of filled up with chips, salsa and queso by the time my salad came and had to take most of it home (hey, supper last night). However I still had room for a complimentary ice cream cone on the way out (of course). Our local movie theater has been playing classic movies (and I hate to use the term classic because it makes me feel old, but what can you do?) 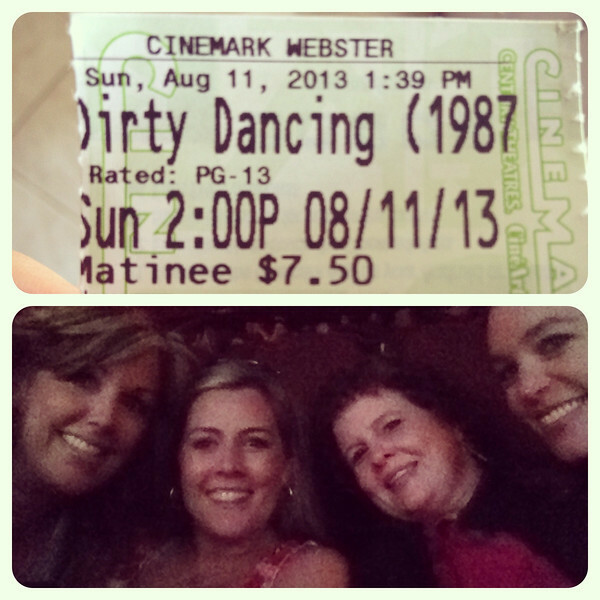 this summer and the last one offered was Dirty Dancing. How could I miss that? The first time I saw it was in 1987, during college, at the Dollar Cinema in Abilene, Texas. It was so much fun to see it on the big screen again, even from the second row, awkward angles and all (the movie was almost sold out when we got there thirty minutes early--what?! ?--so we ended up waaay down front) (Well, hello there Patrick!). I wish Jennifer Grey had kept her original nose. And I still loved her hair. And even her belted mom jean cutoffs.